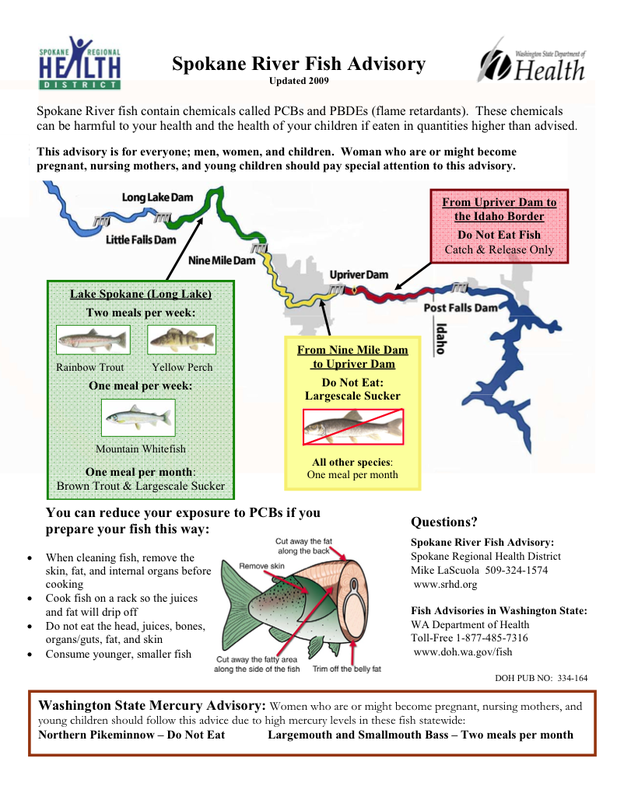 The August issue of Washington Water Watch is here! Check it out for an article online casino jolietta on Spokane recreation business ROW, a spotlight on CELP volunteer Gwyn Perry, an update on the Spokane River PCB case, gardening with native plants, and more! 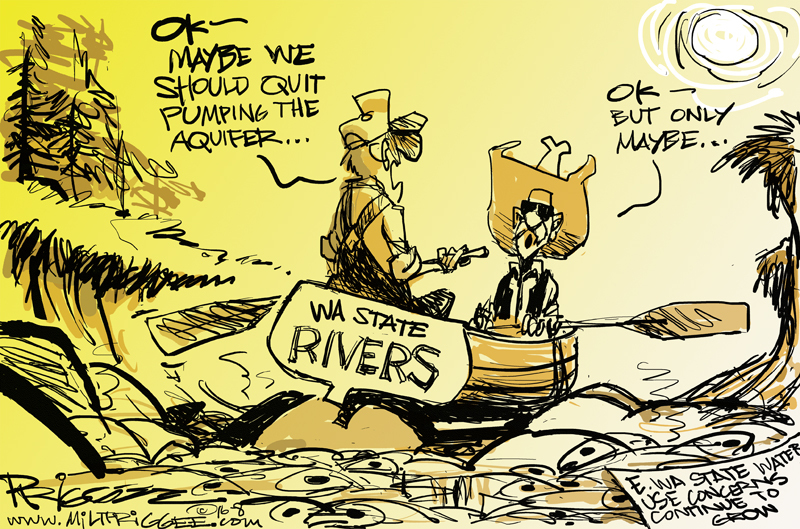 Read Washington Water Watch: August. 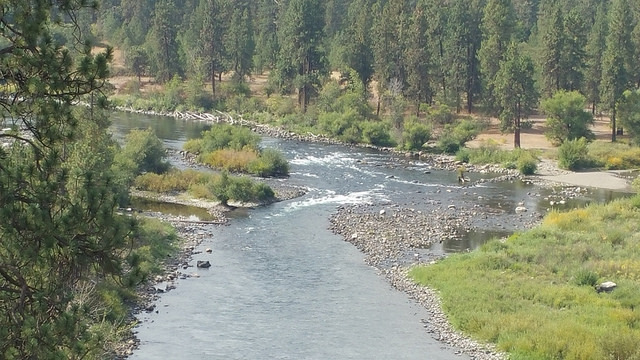 Spokane River today, August 30, 10:30 a.m. – flows at 741 cubic feet per second. People’s Park – confluence of Hangman Creek and Spokane River. Spokane – Today river advocates again called on their neighbors and Spokane City water managers to turn down the spigots, and turn off sprinklers. Spokane River flows dropped below 850 cubic feet per second (cfs) – the state-mandated minimum flow – more than a week ago, and have been running at or below 750 cfs most of this week. 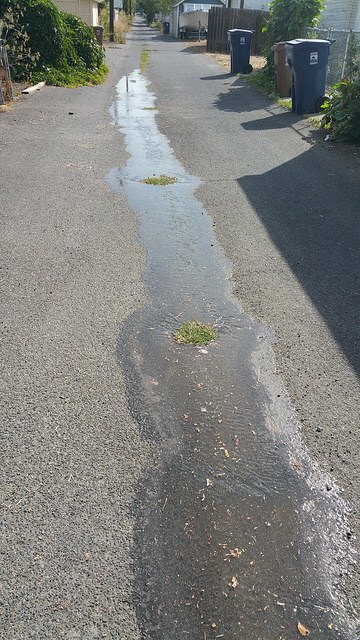 Watering alleys in the City of Spokane, wasting water. August 30, 2018. Meanwhile, the river is gasping for water. The Inland Northwest is notable for its hot, dry summers. Water used by 600,000 people in the Spokane-Coeur d’Alene region comes from the Spokane-Rathdrum Aquifer, which also supplies the Spokane River. 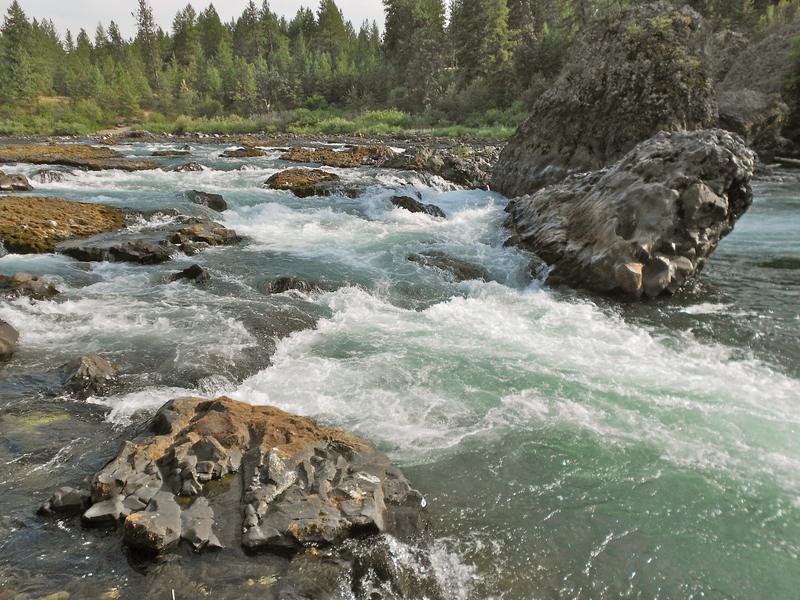 Large municipal wells that are close to the River, such as the City of Spokane’s Well Electric facility, can have an immediate depleting impact on river flows. 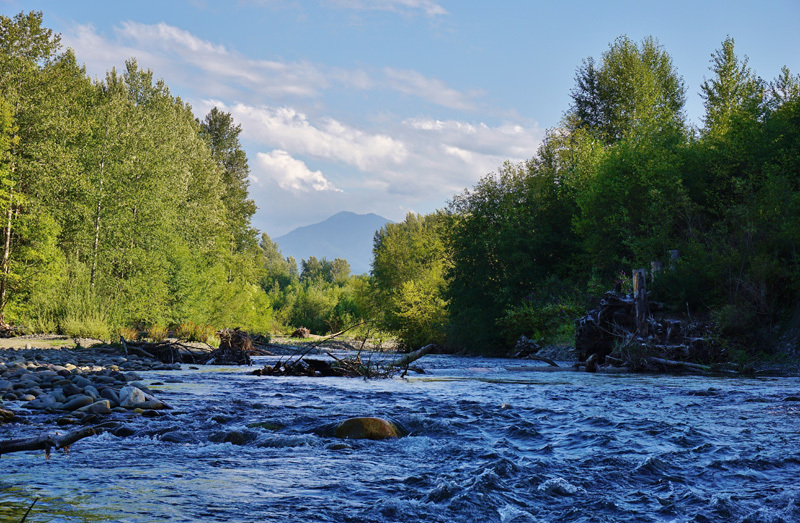 The H2KNOW campaign is a community-based water conservation project to help the region recognize the intimate relationship between the Aquifer and Spokane River, and the need to conserve water to help protect the Spokane River.